This week marked the grand opening of Humber’s impressive new facility housing interactive technology zones, digital media studios, prototyping and maker spaces, open gathering places, and demonstration areas. Eight industry partners are adding equipment, technology, and expertise to help train and empower students and prepare them for in-demand careers in the workforce. Together the partners make up the Advanced Manufacturing Skills Consortium; Cimetrix is the lead partner for additive manufacturing. 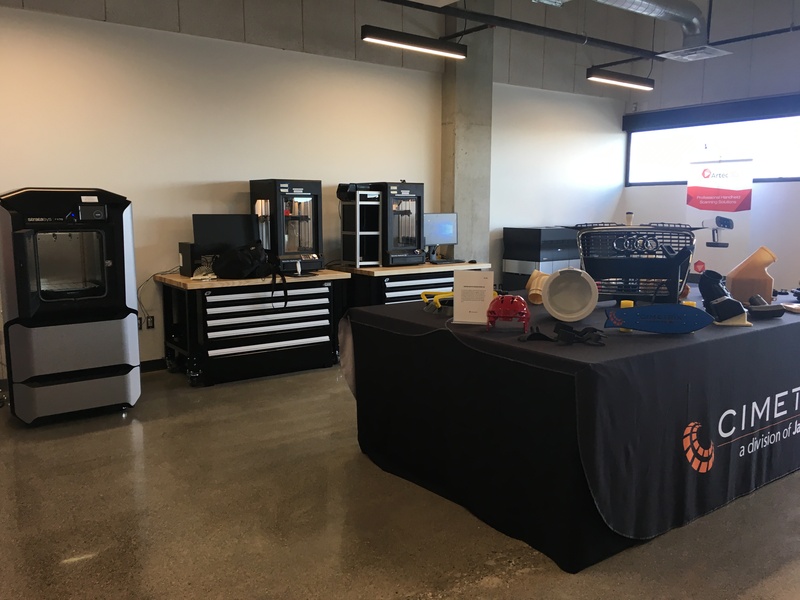 Javelin-Cimetrix supports schools, teachers, and students with the professional-grade software and industrial 3D printers used every day by designers, engineers, and manufacturers. Learn more about technology solutions for education. Watch Humber’s grand opening video and read their news story on Humber Today.